Merchants, who are running an online business, have to handle a lot of complicated processes. It is not about technical support or leads generating, but organizing of all the components is the key to success. Due to this fact, store owners usually suffer from a lack of time to cope with everything. But, back in 1906, Vilfredo Pareto has presented his own principle that is on the front burner till nowadays. The key reference of this rule appears to be a statement that 80% of revenue is generated by 20% of customers. Sounds ridiculous? But it is absolute truth, and large companies keep that principle in mind while planning the future activities. Simply take a look at your active clients and analyze how they affect the total revenue. You will probably notice that around 20% of customers have made 80% of the total profit. Surprise! That is your own approval of Pareto’s rule. The most impressive fact is that every business has the same or pretty similar structure. It is the reason why e-merchants, who try to optimize their management, use this principle all the time. That rule helps for sure, if you are looking forward to growing higher and faster than others. For the best convenience, check the infographic, originally created by Nextopia, showing different examples of 80/20 rule in e-Commerce. As you can see, there is no need to bother about more than a half of your business processes. 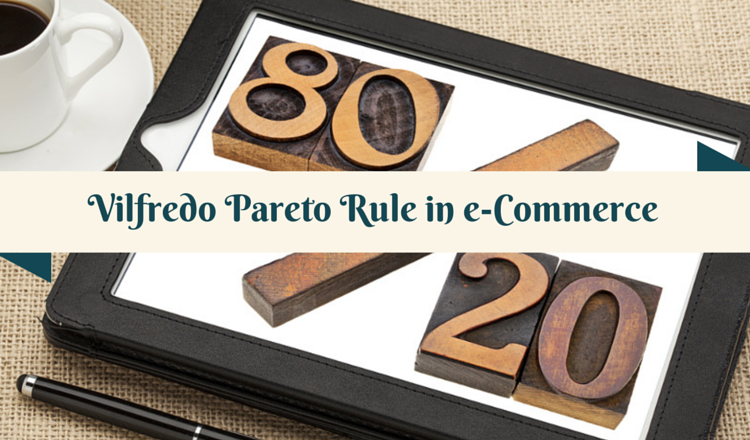 Try to use Pareto’s rule and reorganize business activities in order to be on a rise.